Is your landscape riding off into the sunset? If so, a landscape lighting system from Hydro-Green is just what you need. No longer will you need to rely on that old porch ligh, or a set of inefficient spot lights. 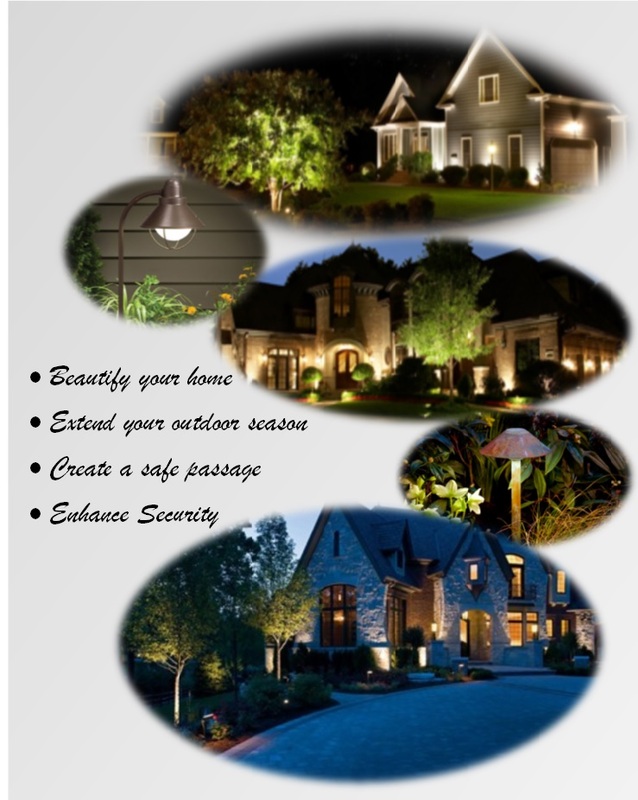 With a landscape lighting system your landscape will come alive when the sun goes down. In fact when we are done, many people feel as though their property looks better at night than it does during the day. Most of our system installations are 100% LED. That means your low voltage system will use even less electricity that ever before by as much as 80%!!! And not only will you save in electricity, but in service; the average life of an LED bulb we install will last as long as 5 years, with some even 15 years. Any new lighting system installation will start with a free consultaion where we will discuss the areas you want to illuminate, any pathways, walkways, patios, decks, uplighting and downlighting any trees or hard to reach areas. Chances are if its dark we can find a way to light it up. We will also talk to you about future expansions, and make sure the transformer we recomend will handle your future needs. Service: We service what we install, we even service what we did not install. Every one of our irrigation technicians are trained to handle your landscape lighting service needs.